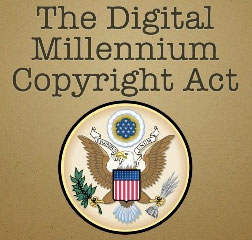 US President Bill Clinton signs into law the Digital Millennium Copyright Act (DMCA). The law is intended to criminalize production and dissemination of technology designed to circumvent digital copyright protection (known as Digital Rights Management or DRM). However, the law has been very controversial, with accusations of abuse of the law to stifle innovation and competition.